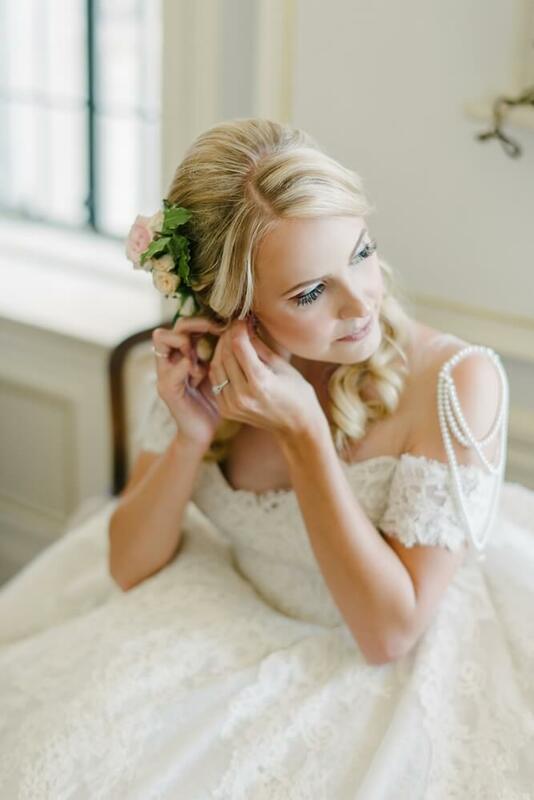 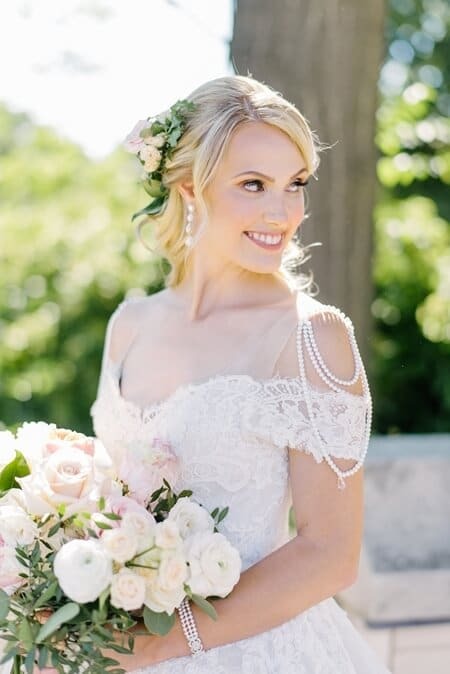 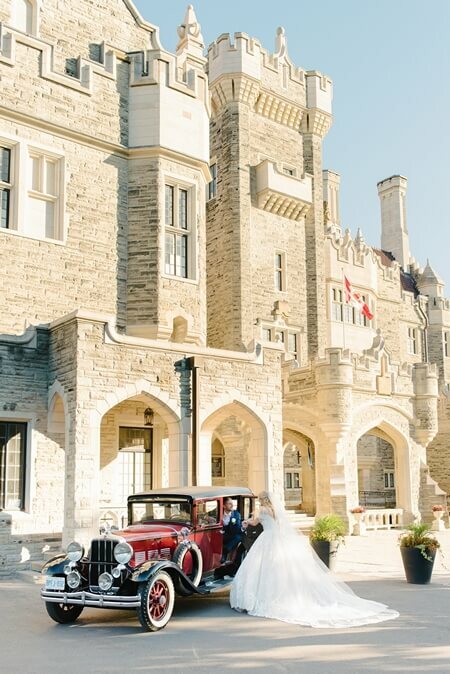 Kristin and Stephen had a romantic wedding at the historic Casa Loma. 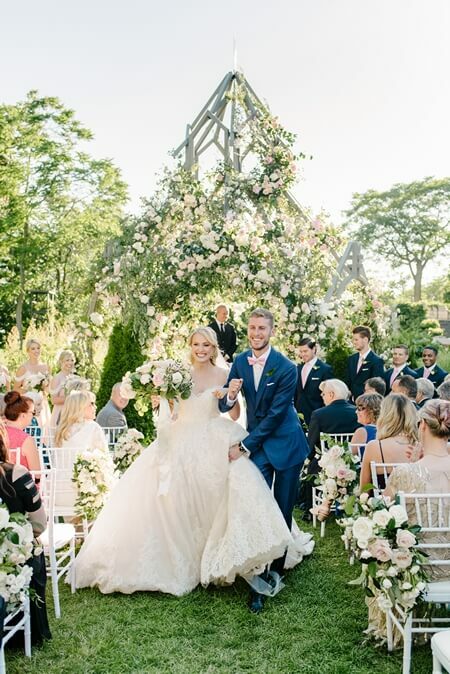 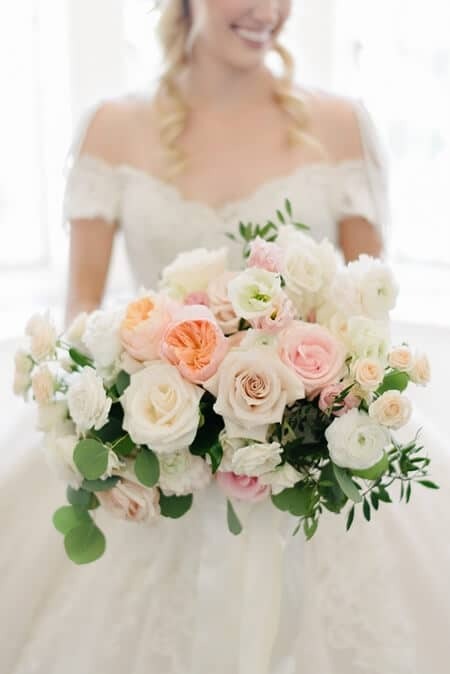 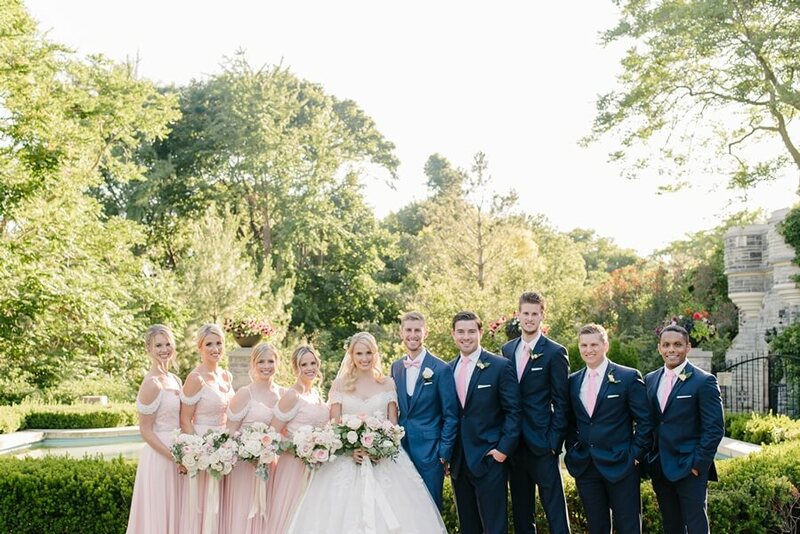 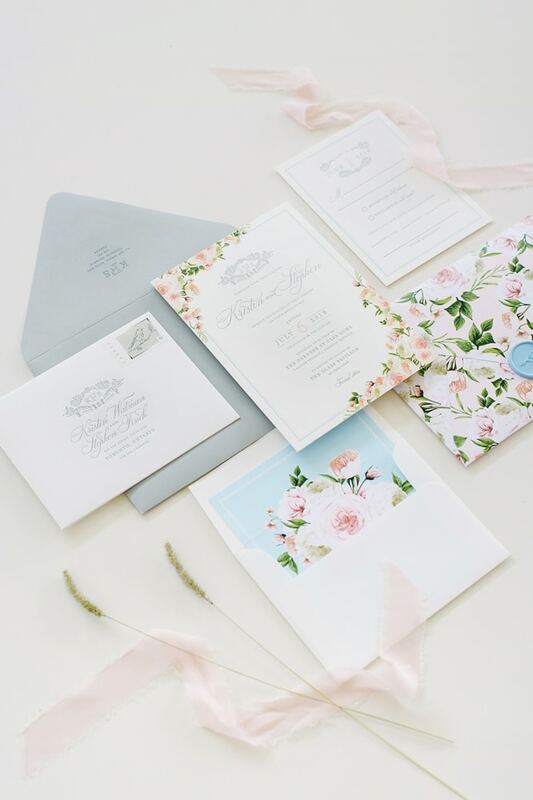 Inspired by a Nantucket secret garden, their dreamy wedding was coordinated by the talented team at Melissa Baum Events. 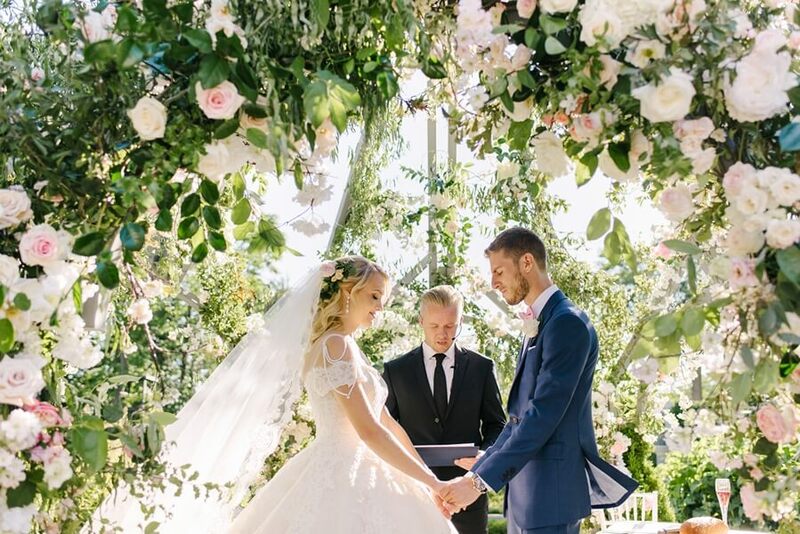 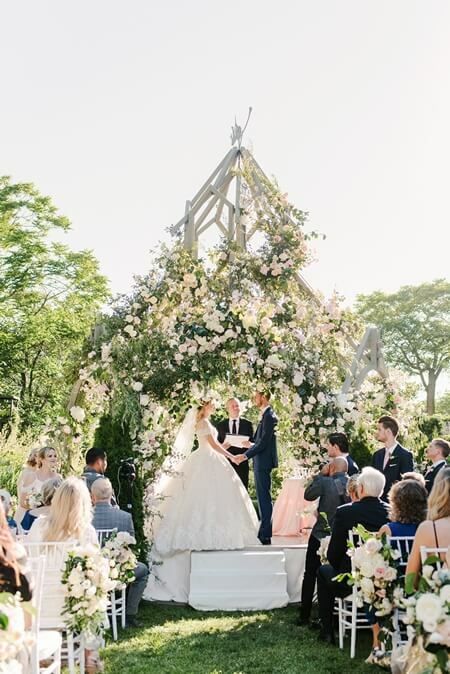 From the gorgeous floral gazebo to the life-size trees, this couple’s wedding is absolutely stunning. 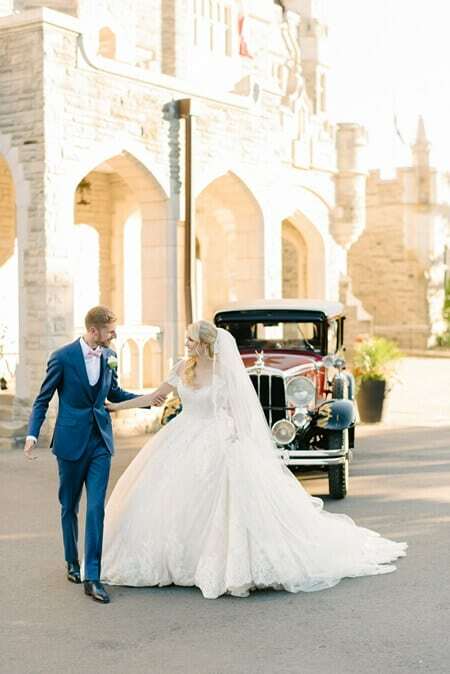 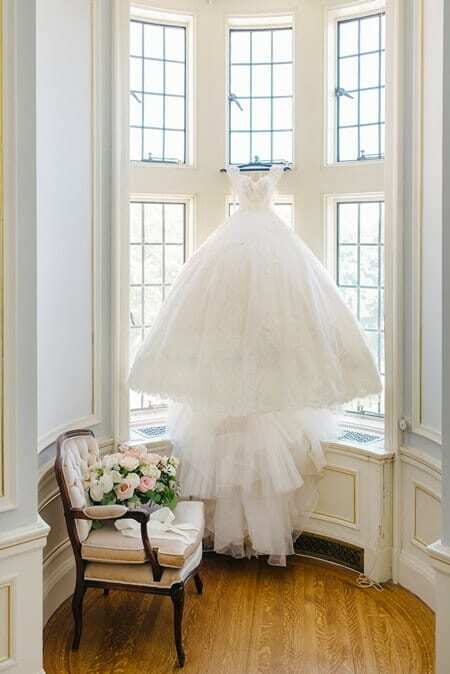 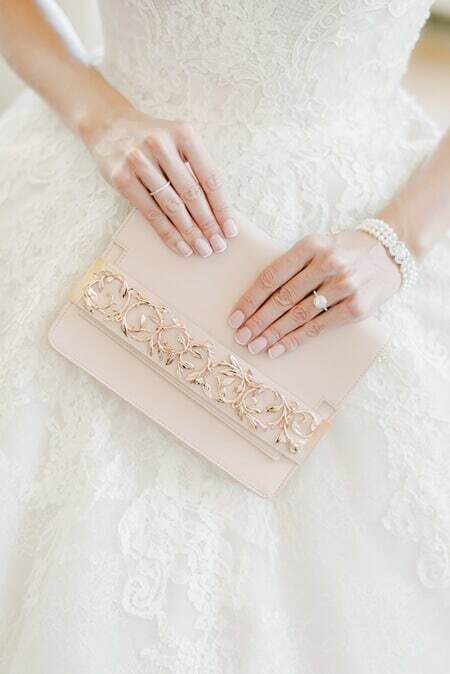 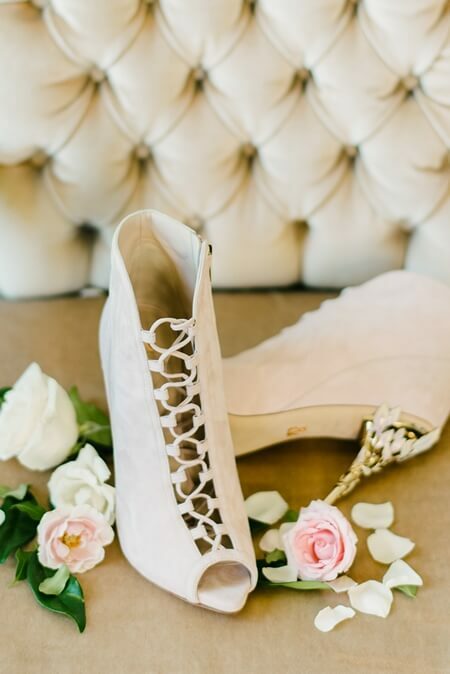 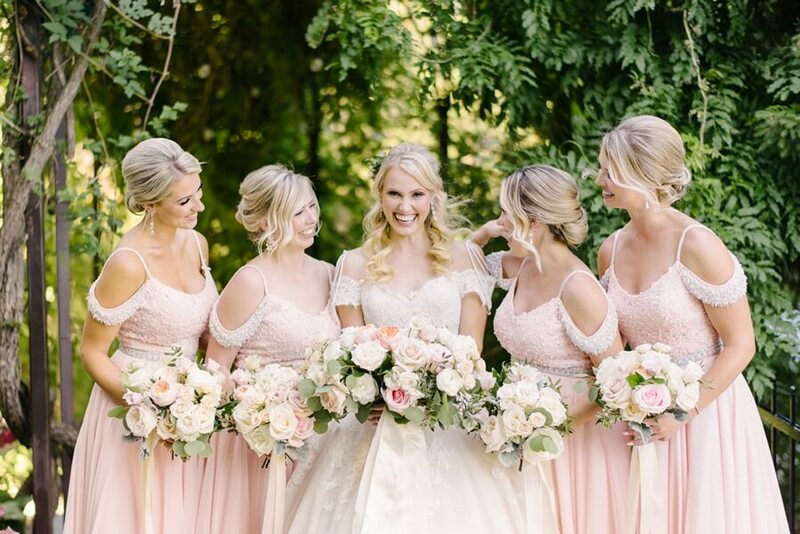 Lucky for us, Mango Studios was there to capture the moments from this fairy-tale wedding! 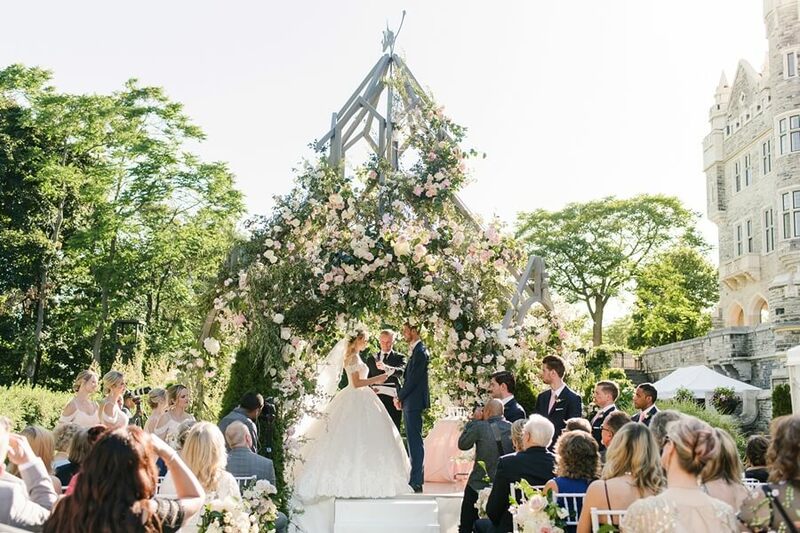 In front of their family and friends, the lovely couple wed on a sunny day in the castle’s beautiful garden. 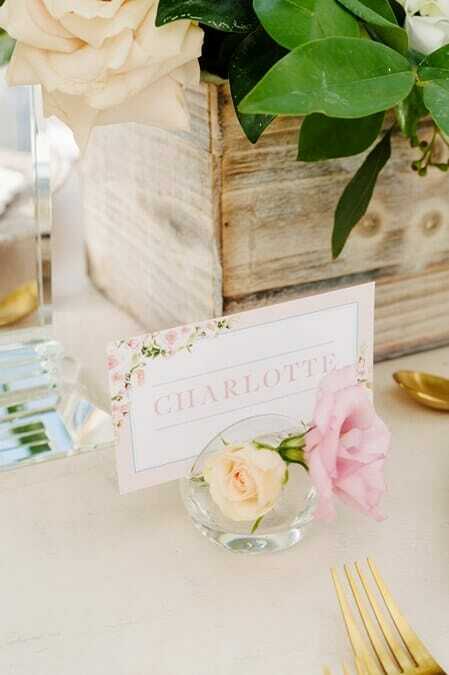 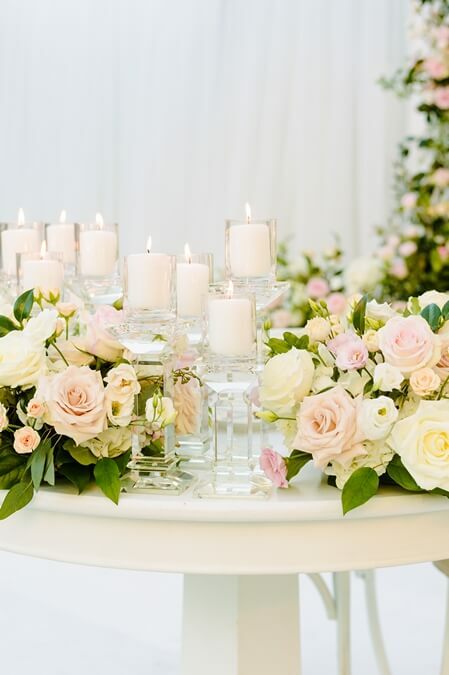 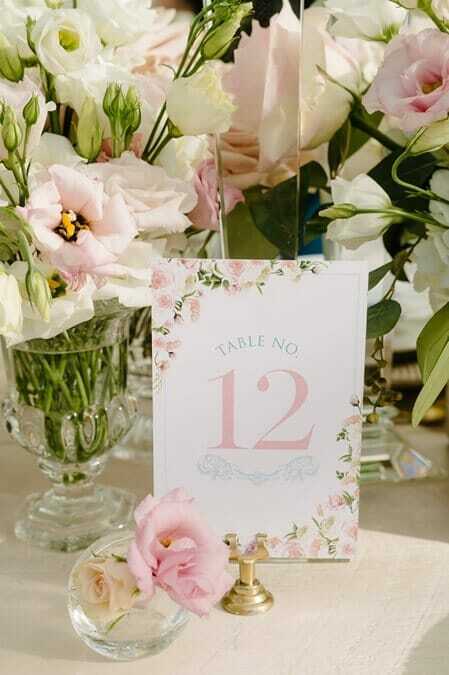 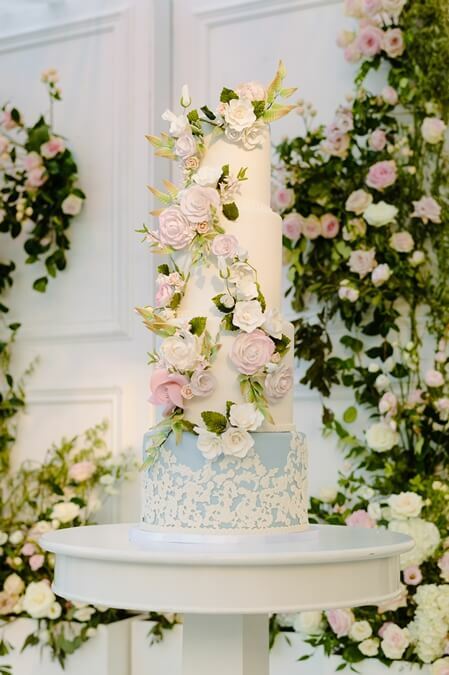 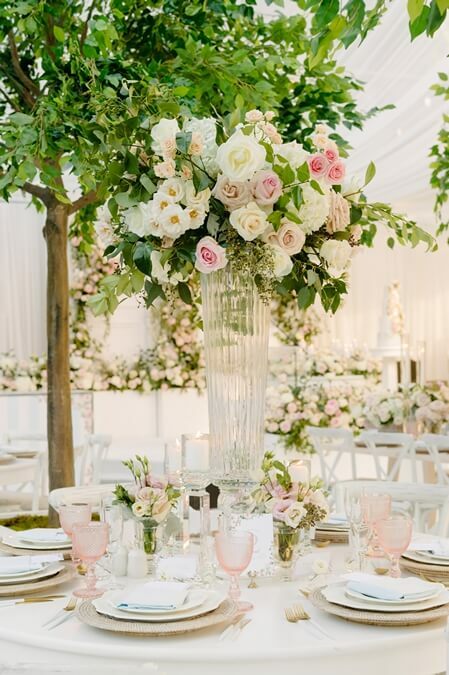 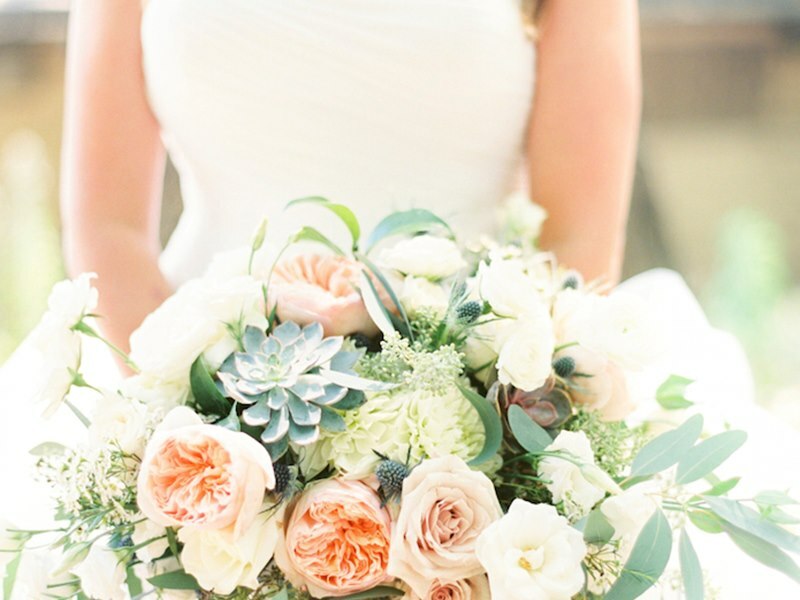 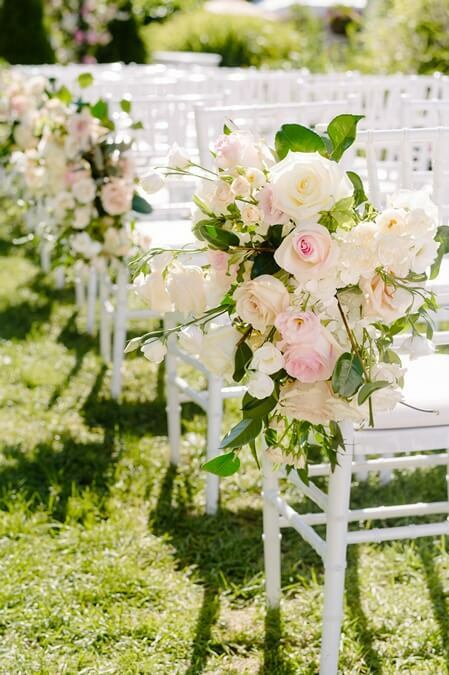 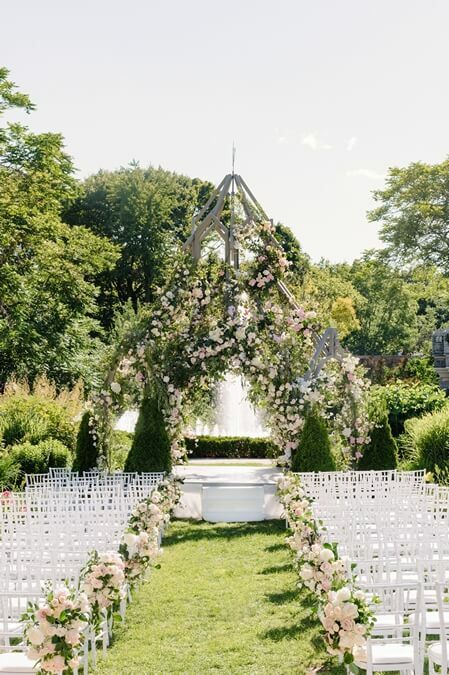 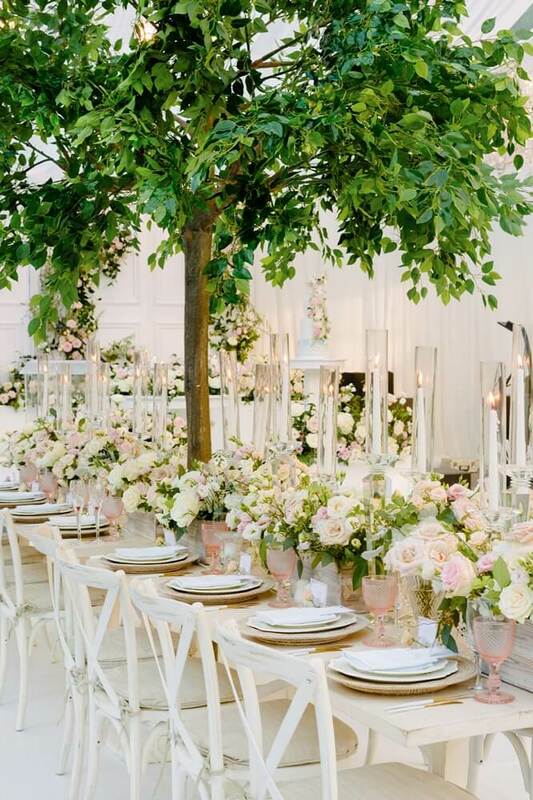 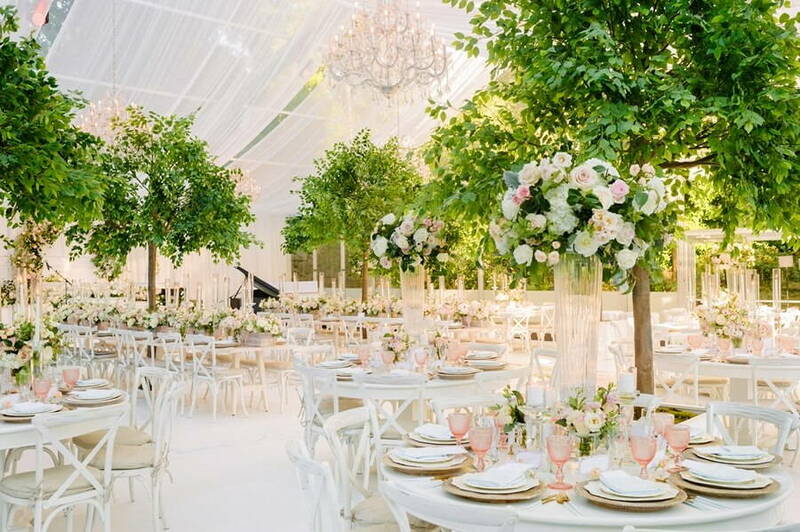 Reminiscent of the wild rose bushes in Nantucket, the gazebo was decorated with blush and cream flowers and greenery. 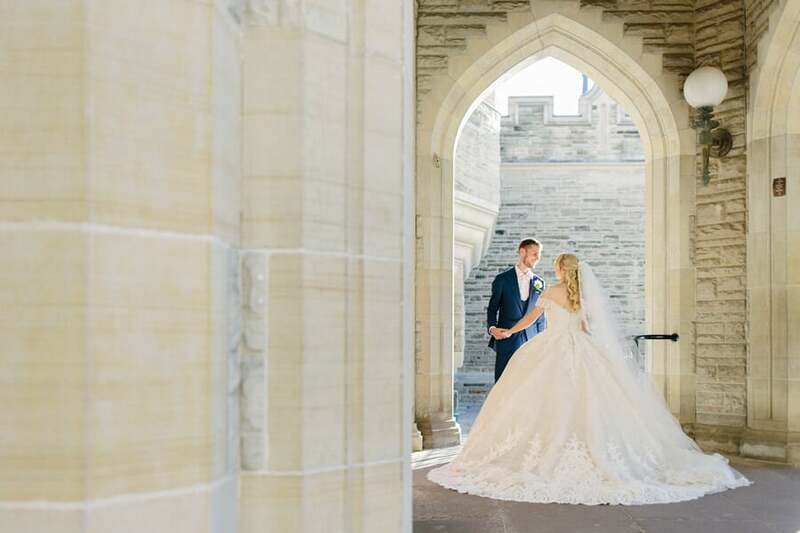 The blushing bride looked like a princess in her lacy ball gown as she posed with her prince for their intimate, picture-perfect photo session. 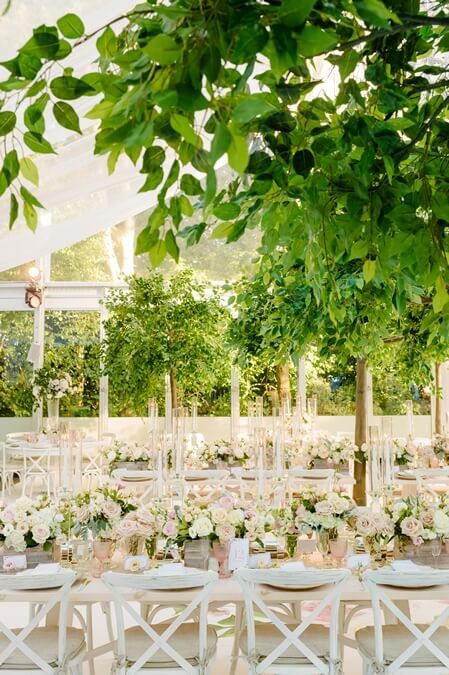 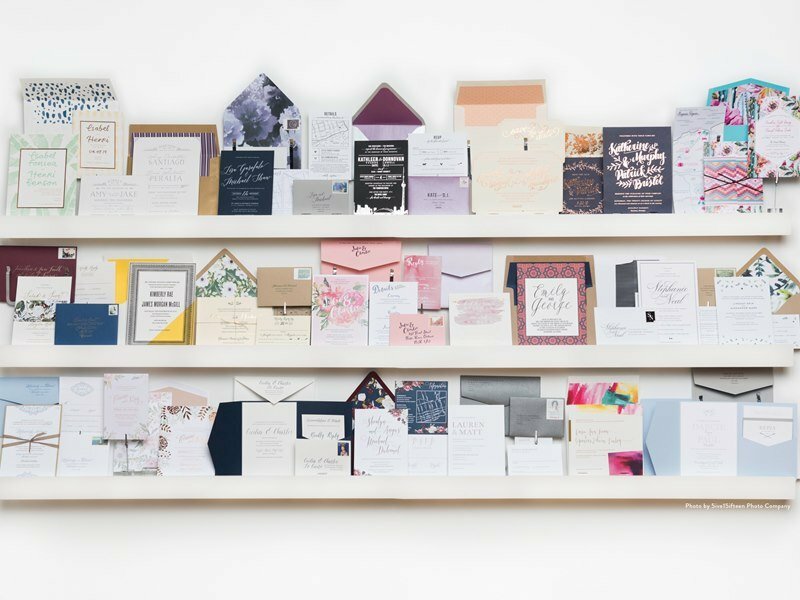 Kristin and Stephen’s reception is a sight to behold. 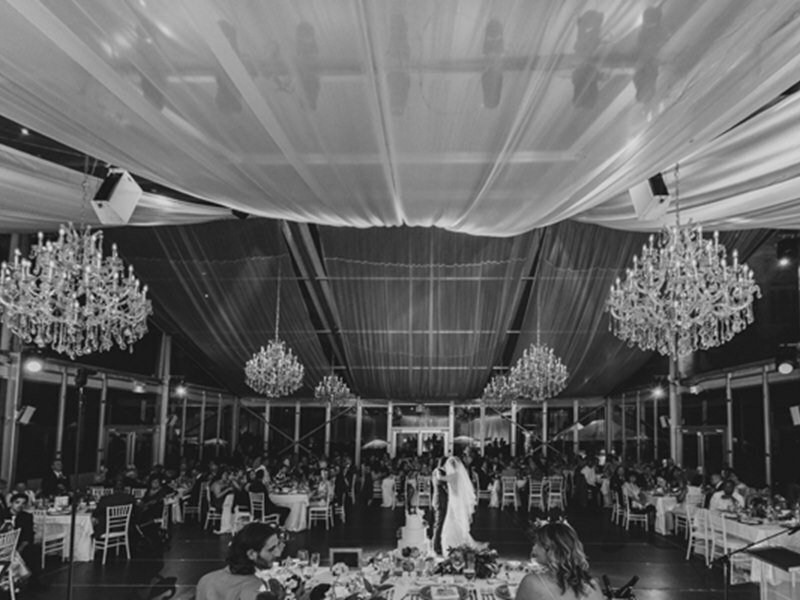 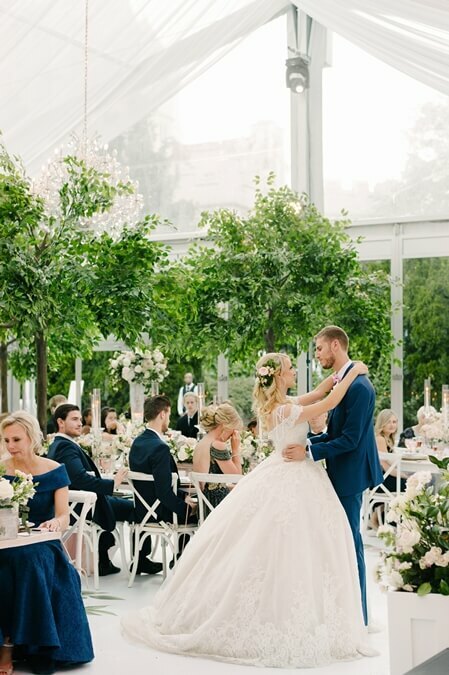 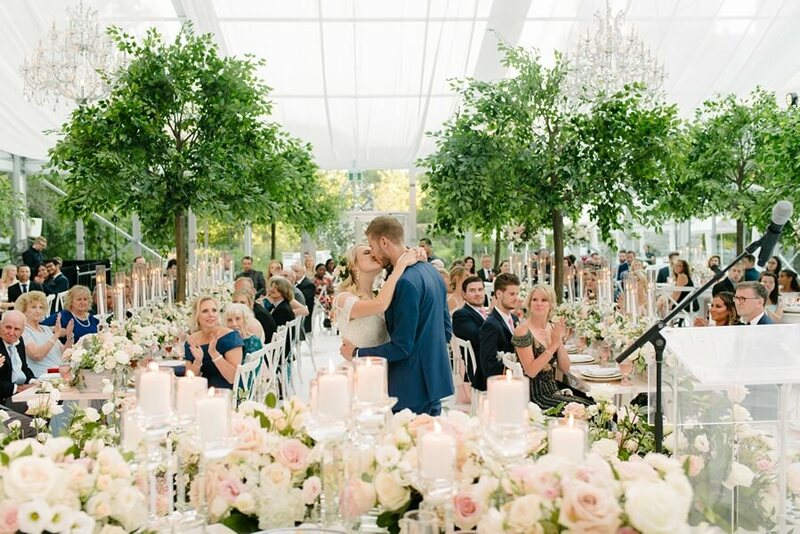 With the tall trees, lush florals, flowing fabric and luxurious chandeliers, the venue’s Glass Pavilion was transformed into a majestic indoor garden courtesy of the talented Rachel A. Clingen Wedding & Event Design. 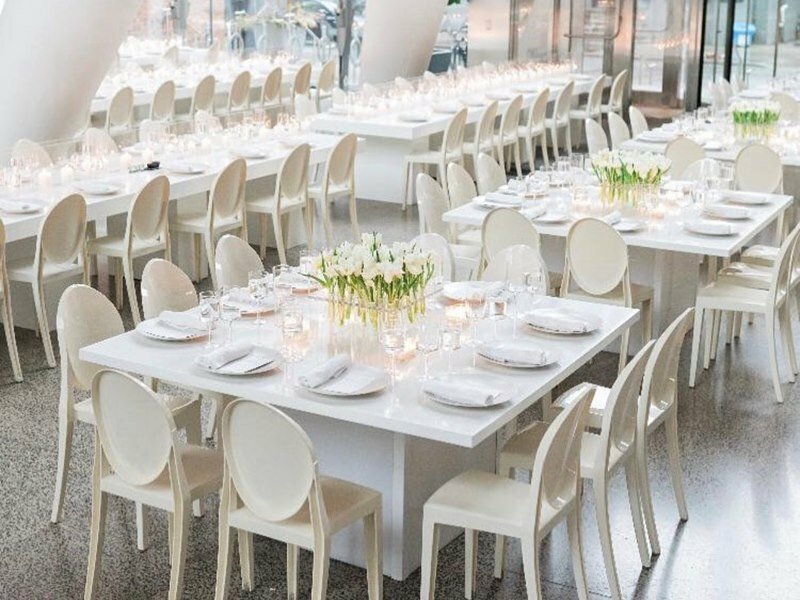 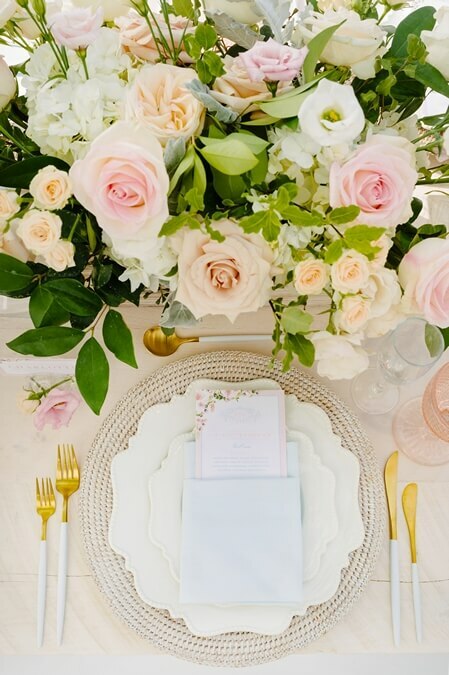 Embellished pink goblets and elegant gold and white tableware from Plate Occasions contrasted beautifully with the chic white furniture from Contemporary Furniture Rentals & Detailz Couture Event Rentals. 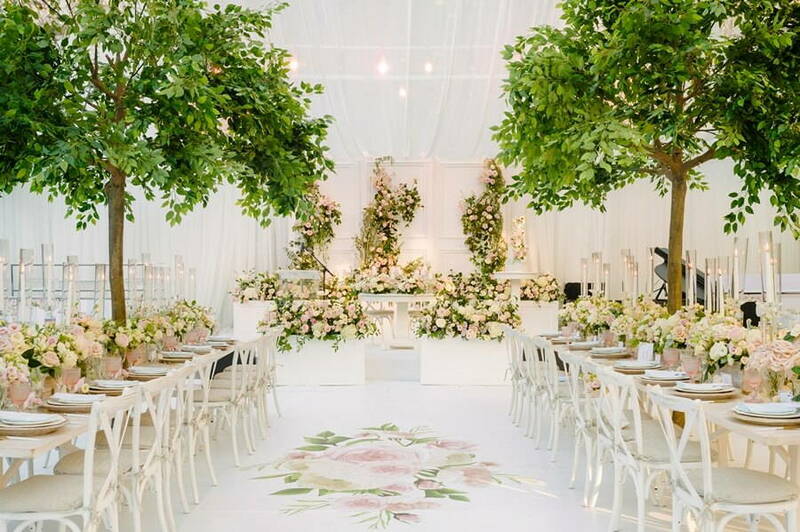 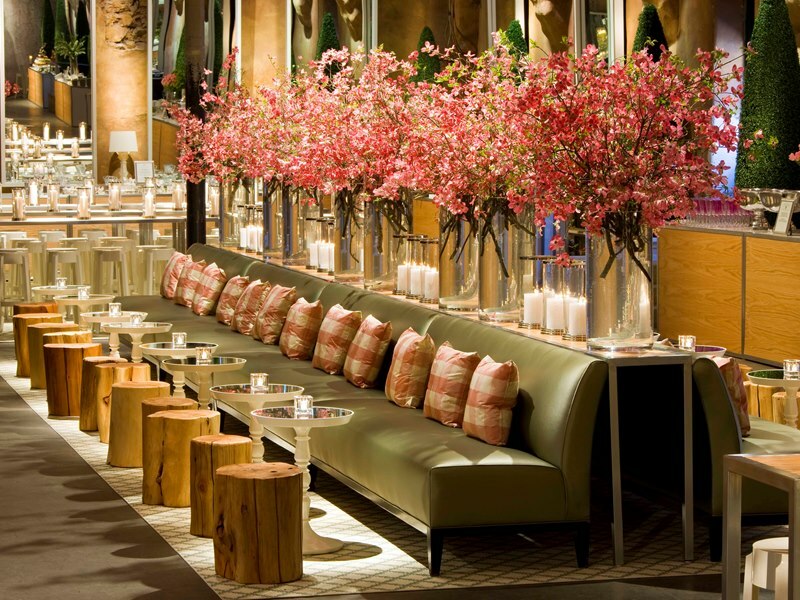 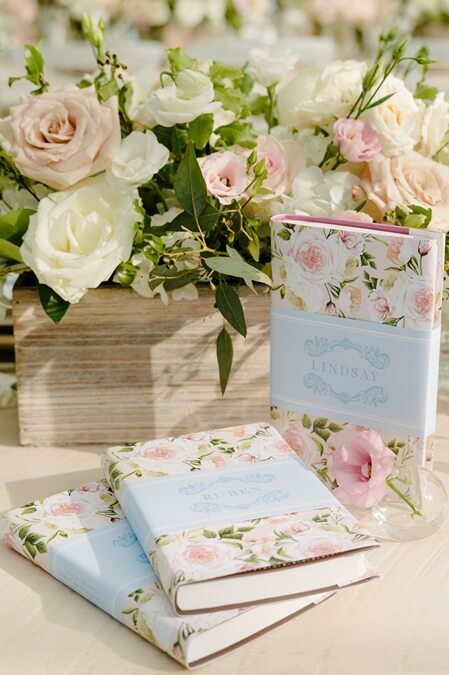 Floral stationery and Event Graffiti’s floral dance floor vinyl perfectly complemented the rows of roses. 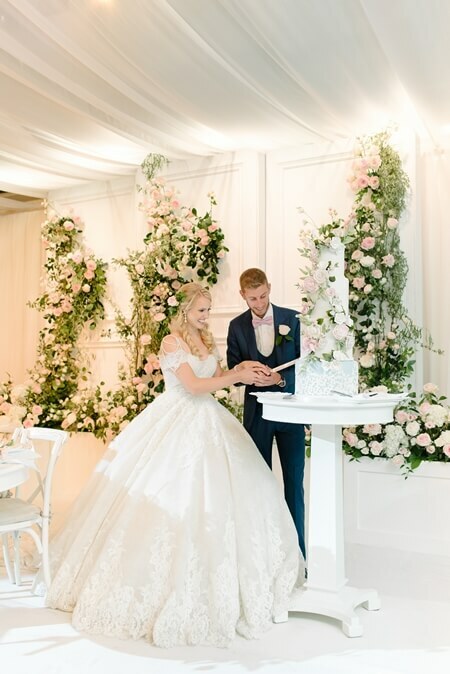 To cap off the night, the couple enjoyed a 4-tiered cake decorated with flowers and a white-and-blue lace design from Fine Cakes By Zehra.